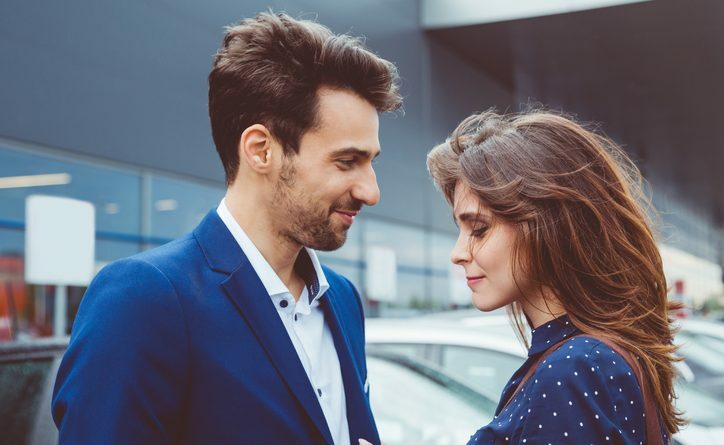 Whether it’s because he’s a shy guy or he likes to play the game, it’s become too frustratingly common for guys to give mixed signals in dating and frankly, I’m over it. If he’s into me, he should be making it pretty damn obvious right away. If he doesn’t, that’s his loss. 1. I’M NOT A DETECTIVE. While I love cop shows and true crime novels, I’m not a detective, nor do I want to be. Working out what he means from one random text is much harder than it needs to be. If his mixed signals are enough to give private investigators a run for their money, how can I compete with that? I won’t! 2. I DON’T HAVE THE TIME FOR BS. The amount of time I’ve spent overanalyzing guys’ words and dissecting their texts has been ridiculous. I’ll never get those hours back, not to mention all those sleepless nights. I value my time far too much, so I refuse to waste it on someone who won’t tell me plainly and clearly that he likes me. 3. GAMES ARE FOR THE PLAYGROUND. The chase really isn’t fun anymore and I wish guys would get up to speed with that idea. I was never one to play games where feelings are concerned, but far too many guys act like that’s the only approach they know. To me, that’s immature AF. If he wants to play games, that’s fine, but he can find someone else to play them with. I’m not the one. 4. IT’S TIME TO GROW UP. I know talking about feelings can be scary, hard, and out of guys’ comfort zone, but that’s no excuse. If a guy truly cares for me, he should be willing to put himself out there and be vulnerable. If he’s not willing to do that, how can we ever have a successful relationship? I only date grown men. 5. I’VE WALKED AWAY FROM GUYS LIKE THIS BEFORE AND I’LL DO IT AGAIN. I’ve moved on from guys who play the game. I’ve moved on from having to second guess every little component of a man’s intentions with me. I’ve moved on and left all the confusion that comes with mixed signals behind. Experience works wonders and mine has taught me exactly how to walk away from guys who give nothing but mixed signals—swiftly and surely without looking back. 6. EVEN MY FRIENDS ARE OVER IT. You know the guy isn’t “The One” when even your friends who are usually super supportive and encouraging have grown tired of hearing you talk about him. My friends want the best for me, and because they know me so well, they generally have pretty good instincts when it comes to the guys I’m into. My friends got pretty tired of me being so torn up over dudes who couldn’t be clear about their feelings and I don’t blame them. 7. I DON’T NEED VALIDATION. I don’t get my validation from having guys fall for me. What I need is someone who needs and wants me enough to make it obvious. All I’m really after is clear communication and a guarantee that I’m not wasting my time by investing in a guy. Honestly, if there’s one thing we should all be putting on our wish lists for partners, it’s good communication skills. Not only is it necessary for a happy, healthy long-term relationship, but it’s also really hot when a guy can say straight up what he’s thinking, feeling, and wanting. 9. I’LL TAKE CHEESY OVER CHARM. I’ll take the cheesy guy over the sleazy charmer any day. I want the guy who pours his heart out to me, who leaves me with no doubt of his feelings for me. The man who plays it cool may be mysterious at first, but at the end of the day, charm won’t keep me warm at night. On the other hand, direct, cheesy love declarations totally will. 10. I’M LOOKING FOR SOMETHING REAL. Casual dating is fine for a while, but at the end of the day, I want real, lasting love. Keeping me on my toes may be fun in the beginning, but eventually I’m going to want a man to stand beside me with both feet firmly on the ground. I need someone who knows what he wants—me. 11. LOVE ME OR LOSE ME. We’re all deserving of the kind of partner who tells us openly and honestly how they feel about us. I think “love me or lose me” is as good a philosophy to enter the relationship mindset as any. At the end of the day, no one wants a love they’re unsure of. If he loves me, he should tell me; if he doesn’t, he shouldn’t be surprised when I move on. Adios!